Our Vintage Leather Bifold Wallet is crafted from carefully selected European full grain nubuck leather which is gently sanded to give a suede feel that exudes classic style. Made from smooth, soft leather, the inner of the wallet contrasts distinctively with the outer naturally distressed nubuck leather. The bifold wallet will age beautifully over time and will acquire a rich and unique patina which will reflect its use in everyday life. The Chestnut Brown exterior of the Vintage leather wallet is enhanced by the Snakehive signature Tan soft interior leather. The contrasting colours introduce a new and exciting take on the Vintage leather wallet design. 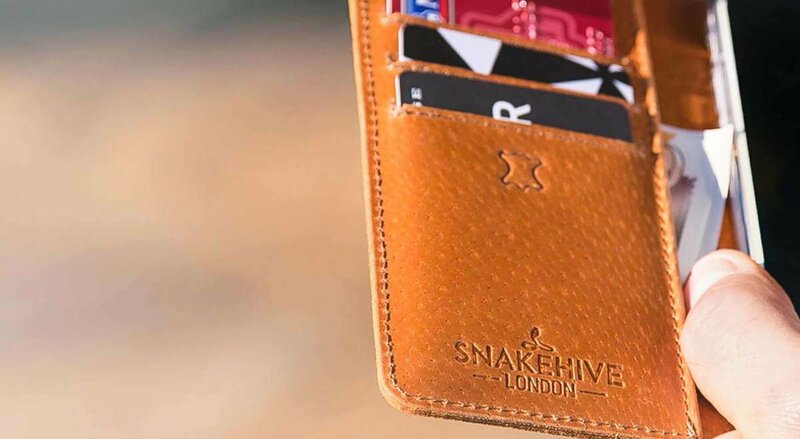 Designed in Snakehive’s signature vintage style, the wallet has multiple compartments to keep everything organised and secure. The four card slots can store frequently used cards and the slip pocket with a curved cutaway is useful for extra cards and notes. The wallet is finished with hand stitched Tytan thread that not only looks fantastic, but is extra strong and tear resistant. The exterior is neatly embossed with Snakehive emblem. A really high quality wallet. Simple design but just what I needed and it goes so well with my phone case. 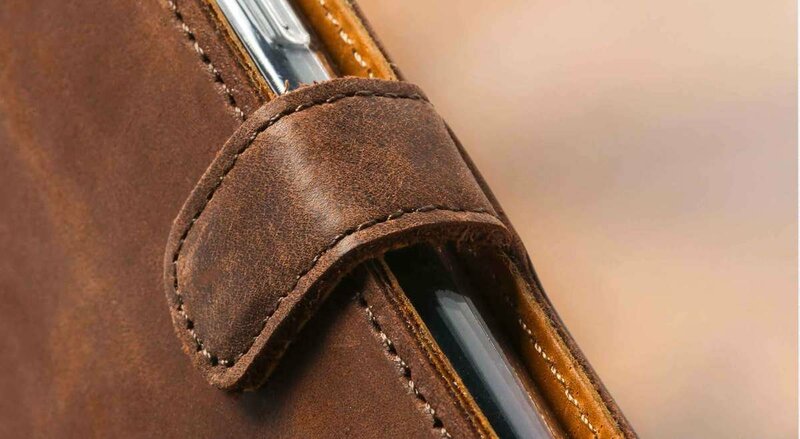 The vintage leather bifold wallet is simple, stylish and well made. It also complements the phone case that I already have.